Italian food at its finest. 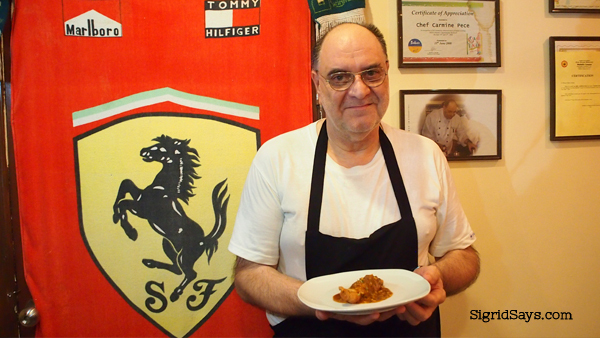 Italian Chef Carmine Pece at his restaurant, showing us their family’s heritage dish called the Involtini della Nonna (P350). I have always pictured a traditional Italian restaurant as small, dimly lit, cozy, and just manned by the chef and an assistant (or his wife) who serves, cleans up, and collects payments. I have read somewhere that the Italian restaurant owners work hard but they also rest well in the afternoon so that they can prepare their richest dishes come dinnertime. 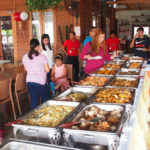 When I visited Chef Carmine: A Taste of Italy in Talisay City, Negros Occidental, Philippines it was exactly how I felt. 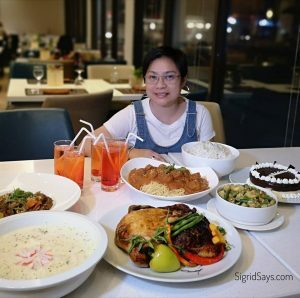 Located just across The District North Point Ayala mall on the property of the Phoenix gas station, Carmine’s place is small, quaint, and quiet. It is far away from the maddening crowd but is near enough to be accessible by both private cars and public transport because it is just along the highway. It is a wonderful place to dine. I felt like I was immediately transported in there. If not for my kids, I would totally forget where I was. You can drive leisurely going there from Bacolod or from the north when the sun is setting, while at the same time appreciating the refreshing landscape and the trees dancing in the wind. I am debating whether to add it in my list of Bacolod restaurants, as technically it is not located in Bacolod. But I just might. Chef Carmine: A Taste of Italy. Grab a bite here or buy pizza to go. 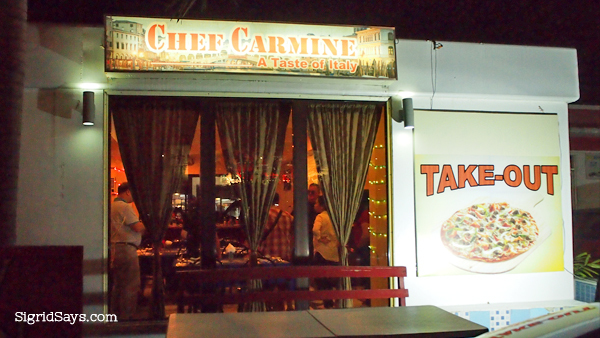 Chef Carmine’s restaurant is small so it can be easily missed. Your landmark would be the Phoenix gas station in front of the Ayala Mall. Inside, there are a few tables. On a full house, I think they can serve a maximum of 30 persons. There are knickknacks on the walls, all speaking about the chef and of course, his beloved country. 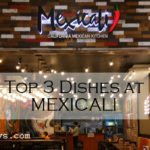 It is nice to meet here with friends or have an evening with your family, or if you just want a quiet wine and dine date with your significant other. These little flaglets are on the counter. I forgot to ask what they are for. 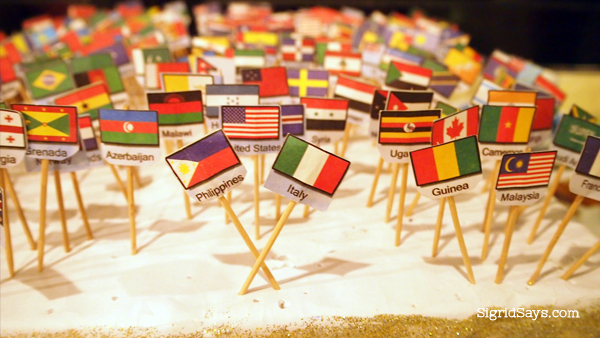 But as you can see, the Italian and Philippine flags are united. The Negros Bloggers met the chef, who patiently explained to us about how he prepares his dishes and why he cannot offer value meals that Filipinos are fond of. That is because Chef Carmine only serves the best–he doesn’t scrimp on ingredients, even importing most of them in order to bring the most authentic Italian dining experience to the locals. After all the pleasantries and discussion, we settled down and warmed our tummies with Minestrone. You can savor the goodness of the vegetables with every sip on this thick soup. That hit the spot and we were ready for the chef’s specials for us that night. 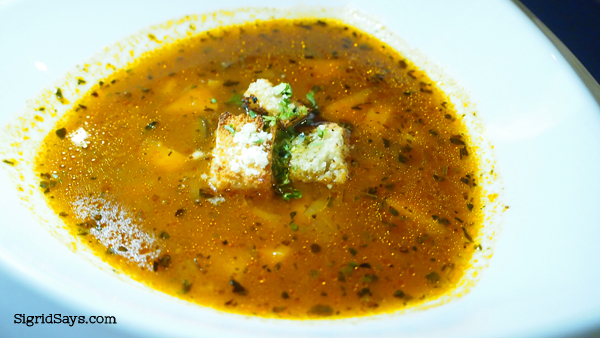 Minestrone (P100)–a traditional Italian soup that is served in many Filipino restaurants. But nothing beats this. We had the Pizza Capricciosa (P400), which had ham, mushrooms, black olives, tomato sauce and egg cream. 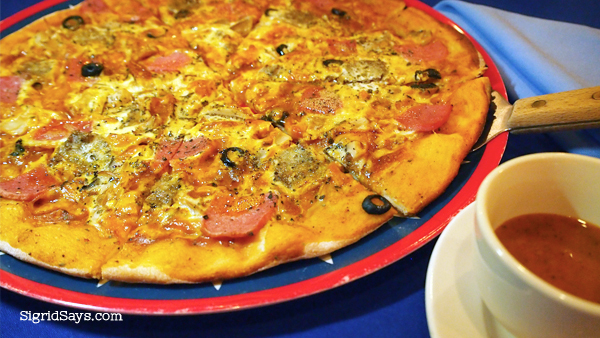 The second one, our personal favorite, is the Pizza Tris (P350), the only white pizza in the house. It has the same toppings as Capricciosa except that it has white sauce with it. I love it! Their pizza has a thin flavored crust, kind of crisp, and really flavorful. I especially love the Tris because its creamy, buttery goodness just melts in my mouth with every bite. The chef says that a good pizza starts with the crust. They make their own crust using only hard wheat flour. 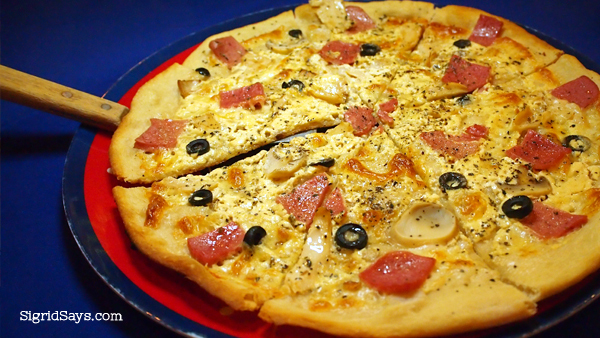 Pizza Tris or white pizza (P350). The best in the west! haha Basta, namit namit gid! Next up were the pasta dishes. 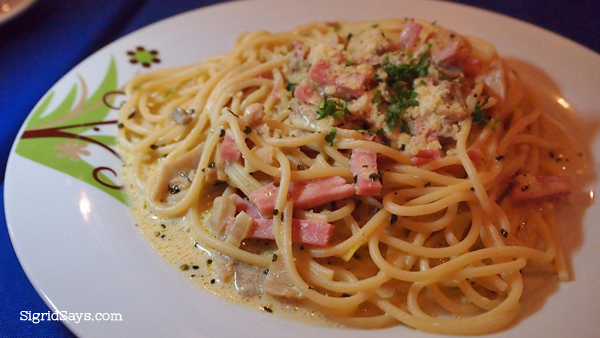 We had Boscaiola (P220), which is spaghetti with a creamy sauce mixed with button mushrooms, ham, and parsley. We also had the Bolognese (P220), which had ground meat, wine, and tomato sauce. Both orders can be shared by two or three, especially if you are also having pizza. Pasta is al dente and the sauce flavors are distinct. Best eaten while still warm. 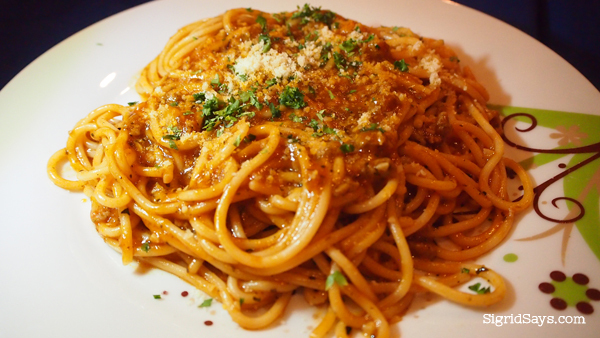 Spaghetti Boscaiola (P220). Don’t mistake this for carbonara–it doesn;t have eggs. For our main course, the chef proudly presented us with their 130-year-old family recipe called the Involtini della Nonna (P350)– a rolled pork loin stuffed with ham and cheese. 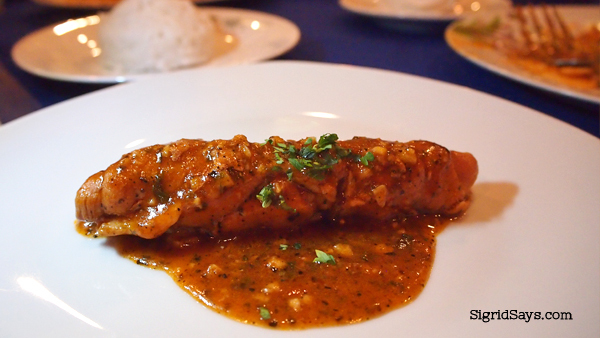 It is slow cooked and served with a special tomato-based sauce infused with several herbs. It is so good and tender that many people mistake the pork for veal. You can have it with rice or bread. I love this so much because the meat is so tender that it almost melts in my mouth. I savored every bite that I thickly coated with sauce. I also wiped the sauce on my plate with my bread. Yeah, that good. Involtini della nonna with bread. 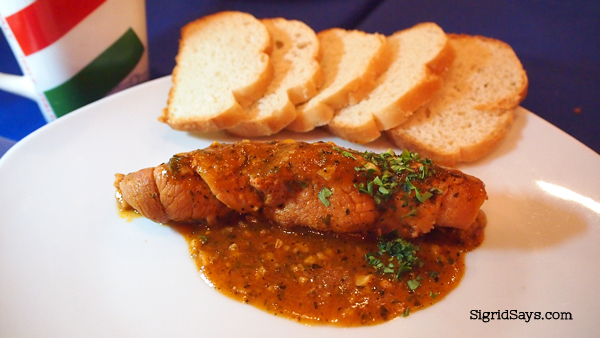 You can have the Involtini della Nonna with rice for the same price (P350). 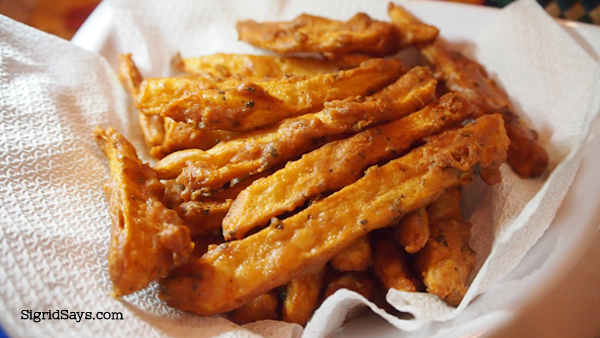 The kids, love the pizzas and spaghetti bologneses as well as their Patatine Fritte (P200)– Italian-style fries where the sliced potatoes are battered with a mixture of eggs, flour, salt, pepper, and herbs. We had a full Italian dinner experience. And while I usually look for dessert after a meal, this time, I forgot about it. I think that I was greatly satisfied with my meal. Chef Carmine’s restaurant is open daily for lunch and dinner. The chef is always there, so you can always have a photo op with him. He would gladly oblige. 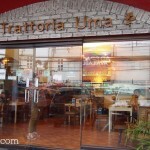 I would like to come back here and try their other dishes, such as lasagna, gnocchi, puttanesca, and pollo cacciatore. 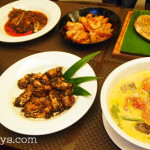 I love these Italian dishes and it would be surely great to try the authentic ones. Buon appetito!